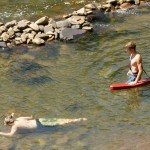 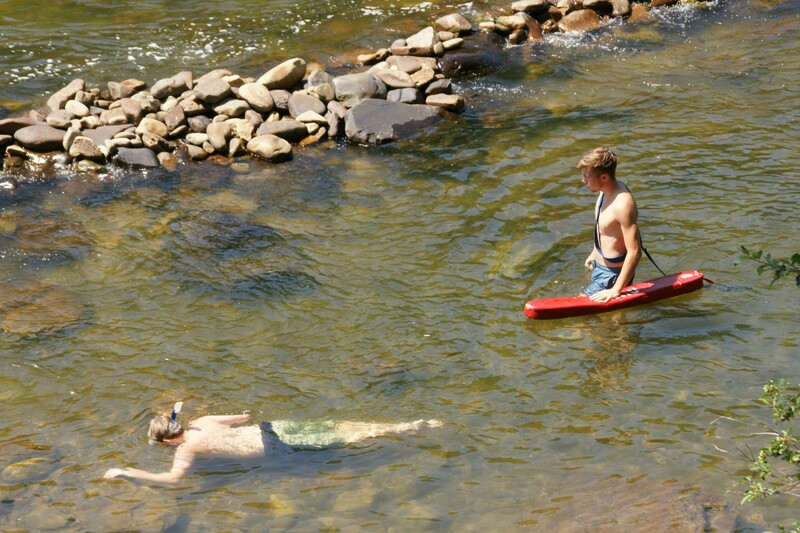 An amazing world beneath the surface of the Greenbrier River awaits every camper who dons a facemask, snorkel, and fins. 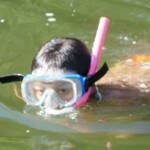 Snorkeling classes are given for beginners and advanced snorkelers. 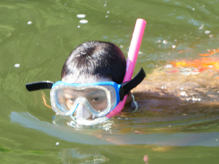 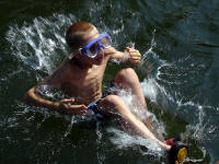 After several mornings of instruction, the snorkelers set out to explore around Woofus Island in search of fish, crawdads, or even lost treasure. 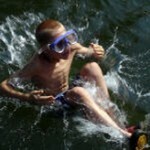 In the bottom of the rapids, one camper found a college ring from 1917!